The Neo-Geo MVS system is a real arcade icon. Its a benchmark to which all other arcade systems are compared too, even to this day. During its time on the arcade floor it produced some of the most loved and iconic characters ever to appear on in a game. And with-out a dout some of the most memorable gaming moments ever. For a long time it was a costly and time consuming affaire for arcade operators to install the latest game in there arcade. 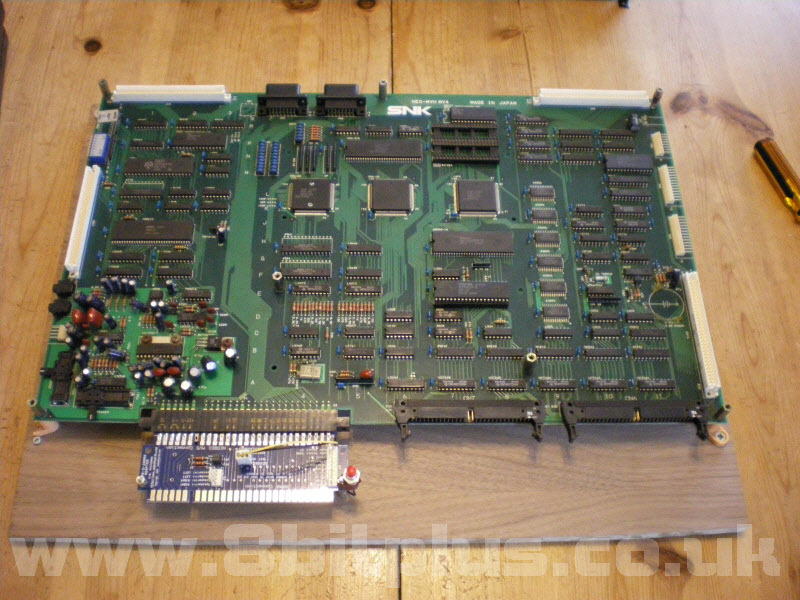 It involved removing lager and expensive game PCB’s, complicated and dangerous power supplies, as well as the artwork and marquees. Lots of games used dedicated cabinets unique to that game. SNK had already established its self as a quality game producer for many years and saw a gap in the market. This new system allowed operators to purchase one standard cabinet, and one motherboard that could hold 1,2,4,or 6 games. 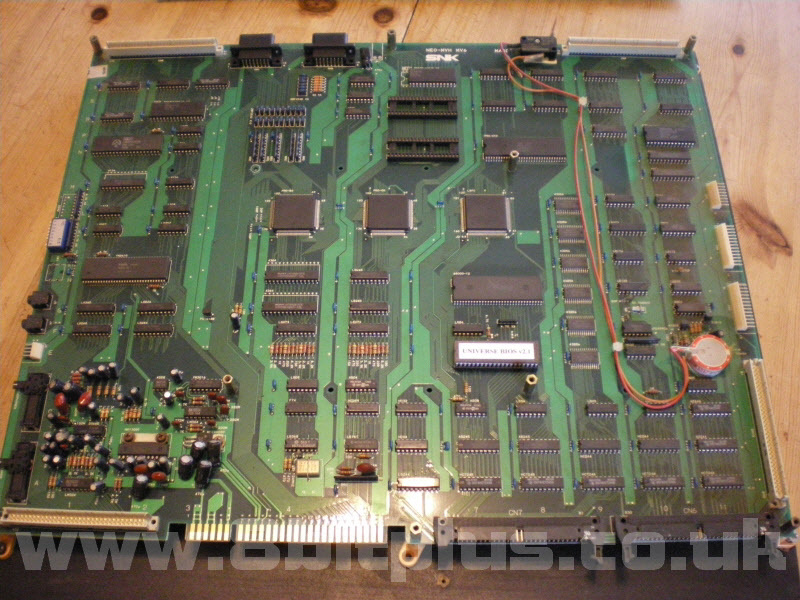 The games cost up to half the price of a dedicated PCB because they didn’t need to include the CPU’s and other possessing hardware. Power off, Change game, Power on – Done. 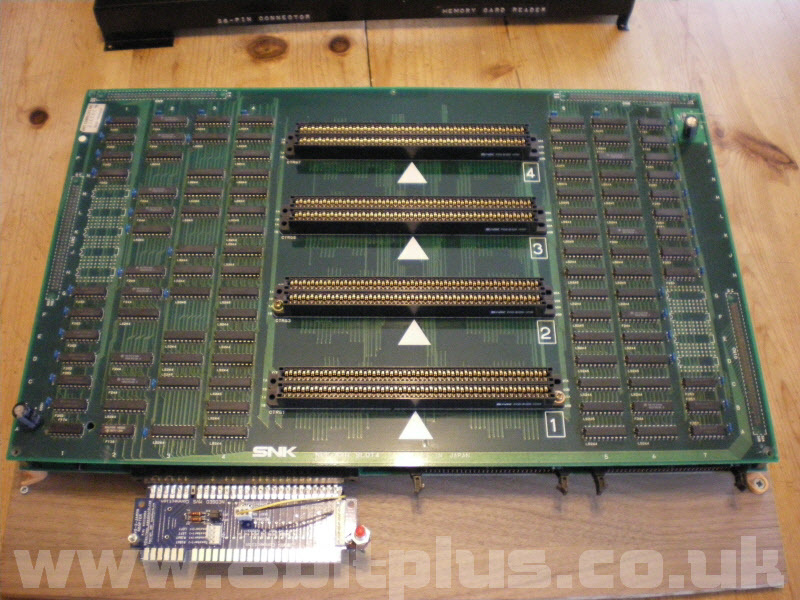 On very important thing to keep in mind with the multi-slot MVS boards is that they are not 100% jamma compatible. 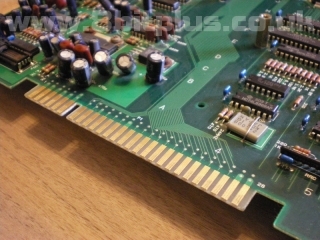 They use the same 56pin connector edge and will fit into a jamma cabinet, but some slight differences can cause damage to the MVS board. The main problem is that the MVS has stereo speaker output where as most jamma games use mono. MVS uses a negative signal for left (pin L) and right (pin 10) then a common positive on pin 11. Installing a MVS on a jamma system can permanently damage the audio system. MVS also uses an extra button per player (D button) and a game select button. 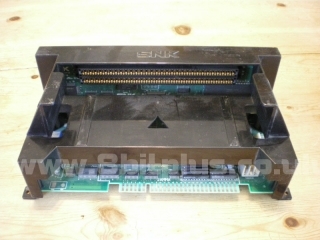 To safely use a MVS system in a jamma cabinet you will need an adaptor like this For more info in the pin out, look here. There are 4 main versions of the MVS. 1,2,4 and 6 slot systems. 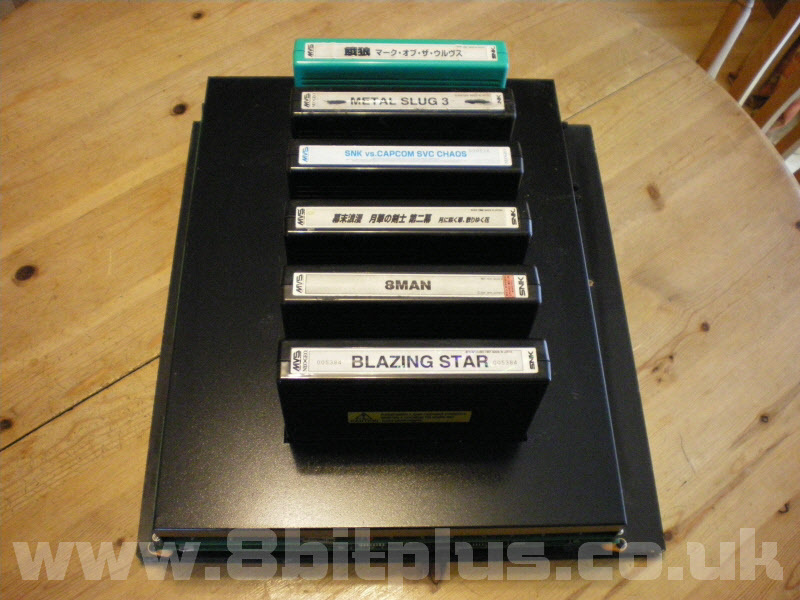 There 6 versions of the 1 slot system. The 1 slot board are jamma compatible and were designed to be installed into an existing cabinet in seconds. If an operator wanted more than 1 slot, then they would have to get a MVS arcade cabinet. Lets have a look at some of the board versions. This is the smallest version of the 1 slot ever made. 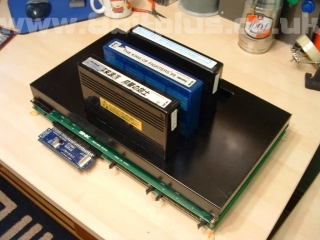 When the game cartridge is inserted its level with the jamma connector. 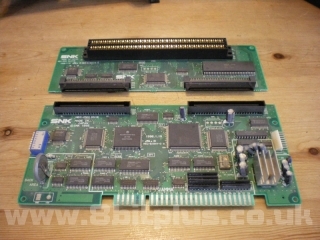 This version is mono only and by removing the stereo hardware the motherboard size is reduced from the MV1F and MV1FZ versions. It has no extra luxuries like headphone jack, joypad ports or memory card connections. It does retain an 8pin trackball connector and a volume control. 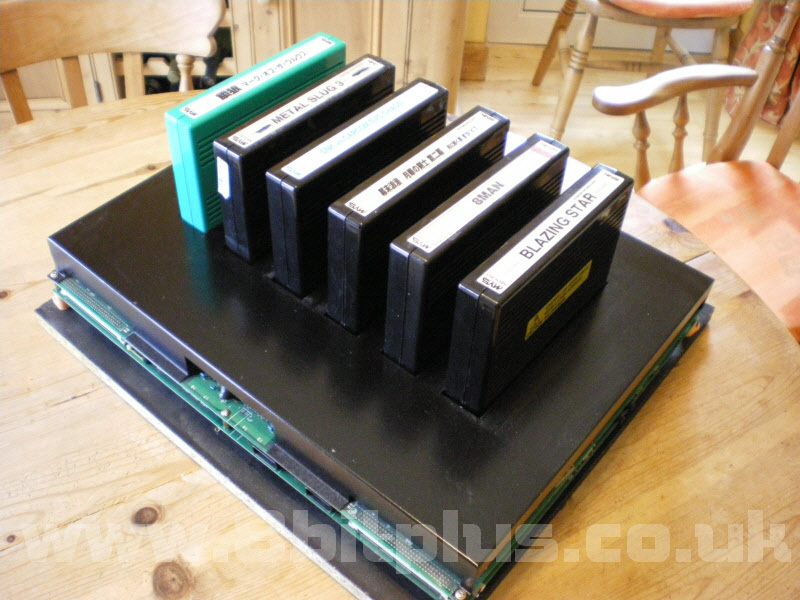 This unit is great to use with my SuperGun. 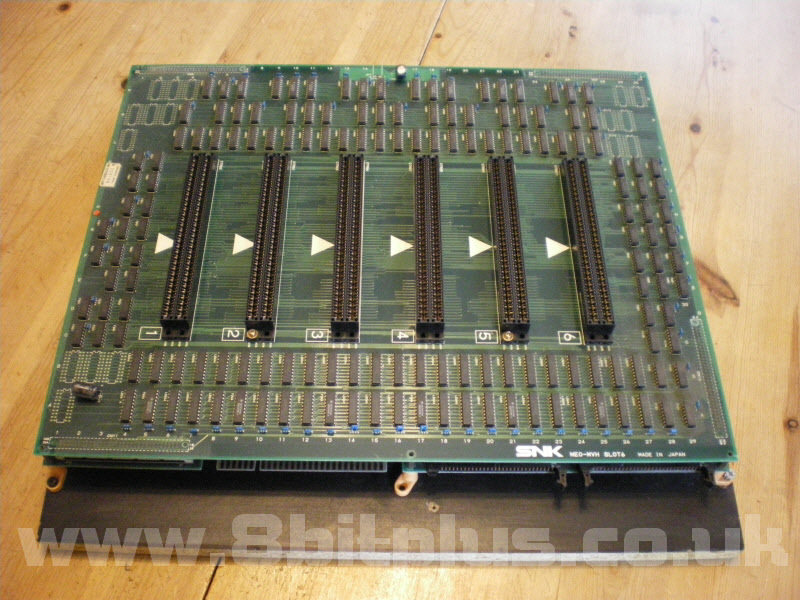 The 4 slot board is very large and also quite heavy. 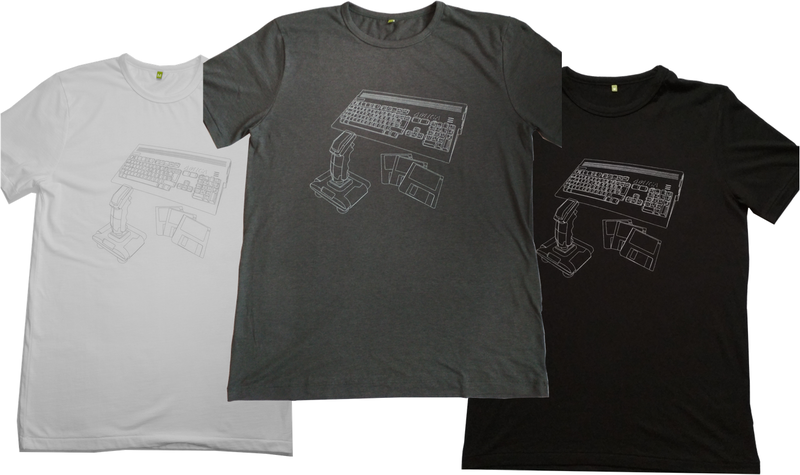 As you can see it a dual layer design. 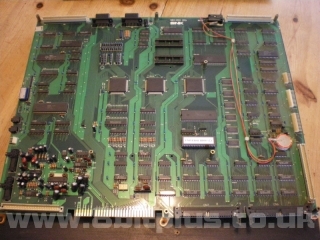 The top board contains the cartridge connectors and the various logic needed to transfer data to the bottom board. 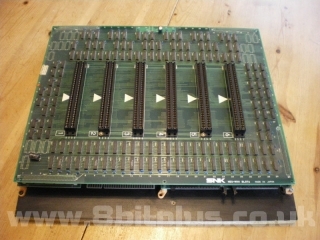 The lower board contains all the processing components and memory. The 4 slot contains many additional connectors: 2x joypad ports, 2x headphone jacks with extra volume control, 2x coin counters, 2x memory card reader ports and the 8pin trackball connector. 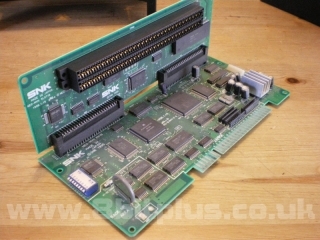 The king of the MVS boards, This thing is huge and comes with the complete set of connection ports that the 4 slot board has, but with an extra 4 pin stereo audio connector. As you can see, this board is fitted with a custom “Universe Bois” and a reset switch mod. It is well known that the 6 slot is the most unreliable of the series, but this is a good working example with no problems. As already mentioned, I feel the Neo-Geo MVS it a true legend. It was a fantastic design and the idea of a standardised arcade system was soon mimicked by other company like Capcom with its CPS-2, and Sega with the Naomi years later. 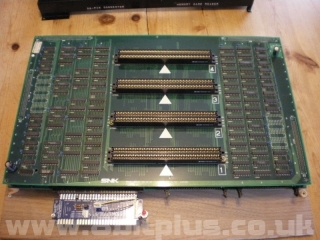 It was also a good move to use the 68000 as the core. 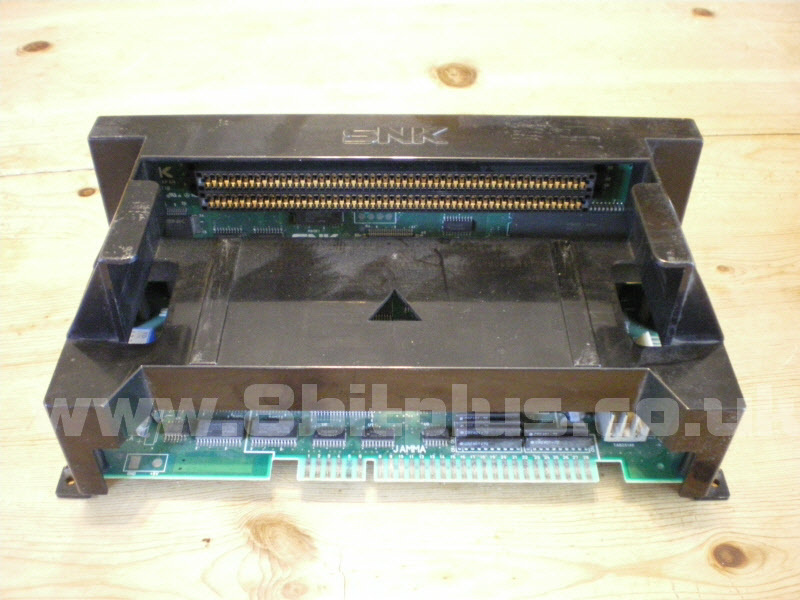 MVS was easy to program for and with its staggering cartridge capacity SNK was able to show its true creativity, bringing us games that withstand the test of time even to this day. Another point to mention is that the MVS was in service for almost 14 years. That’s very special in the fast pace of arcade gaming. This was only possible thanks to its great library of games like King of Fighters and Metal Slug. This machine shows that the days of 2D gaming should never end. In the 6-slot picture, what’s the 4th game down? You have some of the best games on the system there. Yeah, I’ve had an MVS since around 2000 (when they were still making games for it!). First a 6 slot, but I was negligent and the battery melted, so replaced it with a (much cheaper) 4 slot.